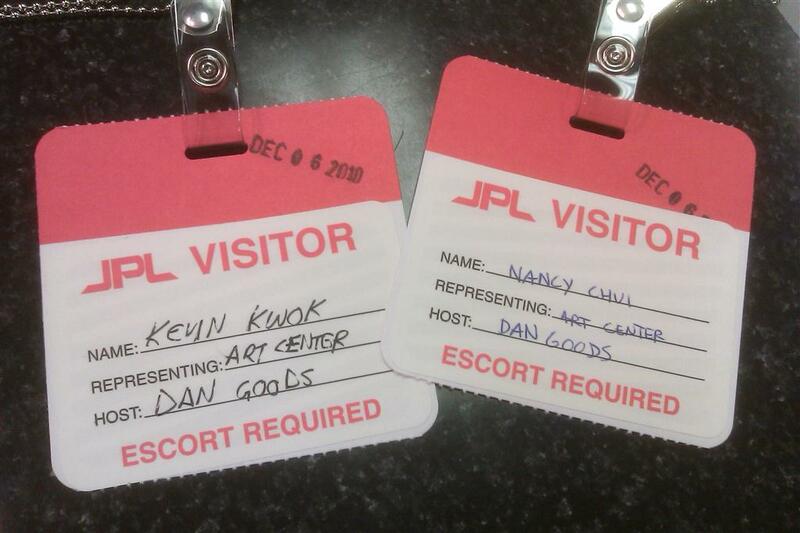 Nancy and I had a meeting / presentation at JPL on Monday with Dan Goods. AMAZING connection thanks to my two chairs from school Steve Kim and Nik Hafermaas. We presenting our project and concept for the Kinect project to a few teams there. Can’t really say much for fear of the government hunting me down for leaking top secret information about the space program (just kidding?). 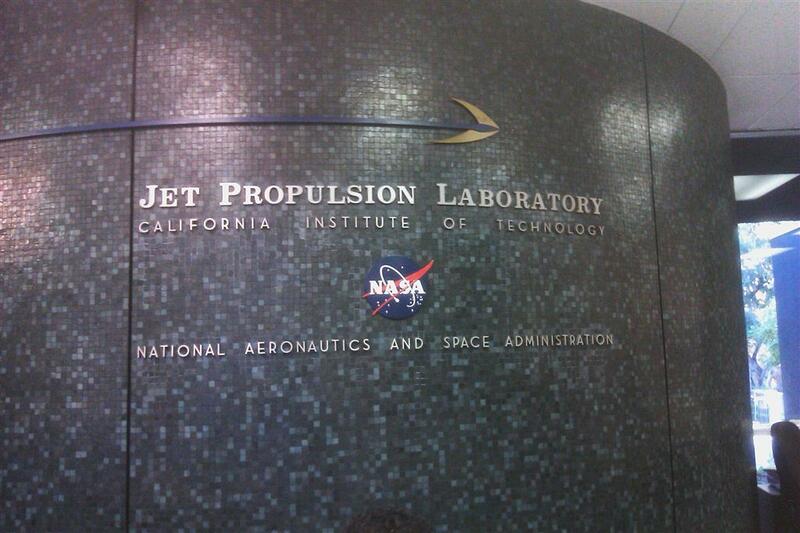 The meeting went great and we might be partnering up if all goes well. We also had a setback, apparently our first Kinect was a LEMON. That’s why some of our demos would not work, the place we bought it from is a horrible company (gamestop) and is not cooperating with a refund so we bought another one in the mean time. Anyways this meeting was significant in another way, see Nik knows Dan because they collaborate on many cool projects. One project in particular was called eCloud. The eCLOUD is a dynamic sculpture inspired by the volume and behavior of an idealized cloud. 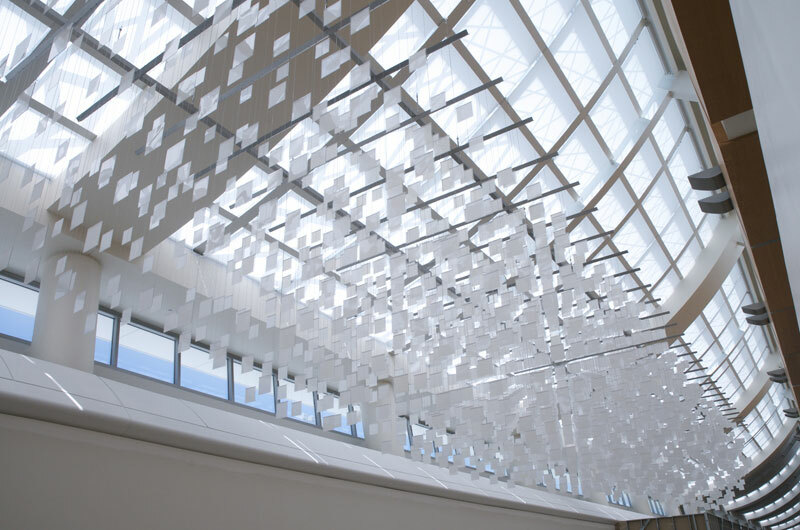 Made from unique polycarbonate tiles that can fade between transparent and opaque states, its patterns are transformed periodically by real time weather from around the world. However Nik and Dan also had a third amazing partner, the one and only talented Aaron Koblin. Besides creating amazing projects such as the premier HTML5 example going around the web of the interactive Arcade Fire music video, Aaron also works for (drumroll) GOOGLE. I hope to someday be able to make that connection and pick his brain, there is just so much I want to know and learn. Thanks for the support everyone things are slowly coming together. This entry was posted in BIG NEWS, HACKINECT. Bookmark the permalink.